As though we needed any more celebrity feuds to take over our timelines, 50 Cent seems set on continuing his beef with Ja Rule. The two rappers have been engaged in a feud since the late nineties, and the jibes and insults have been coming in waves ever since. 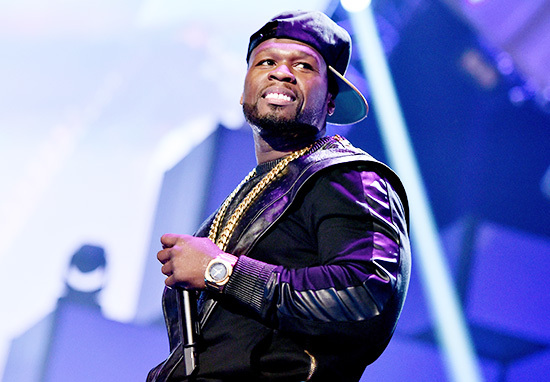 Most recently, Fiddy – aka Curtis Jackson – claimed to have bought out 200 seats in the front row of Ja Rule’s upcoming Texas show in a bid to make it look empty. The photo is in fact photoshopped as Ja Rule’s show hasn’t happened yet, but the photo was posted anyway as a dig at the rapper. Great photoshopping skills, I say. The expression on Fiddy’s face as he sits alone makes it even more hilarious – I can just imagine Ja Rule’s reaction if he looked out into the crowd and saw that. Ja Rule tickets cost about $70 each (£55) according to Live Nation, so if he bought 200, that means he spent about $14k (nearly £11k) just to play the prank. A tad extravagant, but hey, he obviously has the money to spare so each to their own I guess. Since the original post, 50 Cent has continued to add flames to the fire, posting more pictures and videos in reference to the upcoming concert. Ja Rule appeared to be relatively unfazed by the whole matter and initially responded to Fiddy’s playground tactics with laughter. And if he’d have left it there, I would have said he handled the whole thing relatively well. However, he ruined it for himself by tweeting a photoshopped picture of 50 with makeup on. Anyway, the back and forth doesn’t appear to be stopping anytime soon as 50 Cent has now gone and posted a video (photoshopped again) to his Instagram, fanning the flames even more. The video shows a younger Ja Rule performing his hit song Always On Time with Ashanti, on stage at a concert. The video then pans to the crowd, which has been photoshopped so that it’s just an image of rows and rows of empty seats. At some point in the video, 50 has been photoshopped into the sequence to look like he’s watching the performance alone. Even though the footage and photos are fake, 50 has reportedly bought the seats so I’m sure we’ll be seeing real footage of the concert soon. The rappers’ beef spans nearly 20 years, but they both disagree on what started it. According to CNN, 50 Cent claims it all started when one of his friends allegedly robbed Ja Rule, who didn’t appreciate the rapper hanging out with him. However, Ja Rule disagrees and according to The Independent, claims that 50 was snubbed by his record label and couldn’t take it.